Diatomaceous earth is a natural, eco-friendly water polisher. For unsurpassed water clarity, choose Jandy’s DEV Series of Diatomaceous Earth filters. Diatomaceous earth is a natural, eco-friendly water polisher. Made of tiny fossil exoskeletons, diatomaceous earth is a safe and natural water polisher. The DEV filter traps debris as small as 5 microns, returning highly filtered water to your pool. 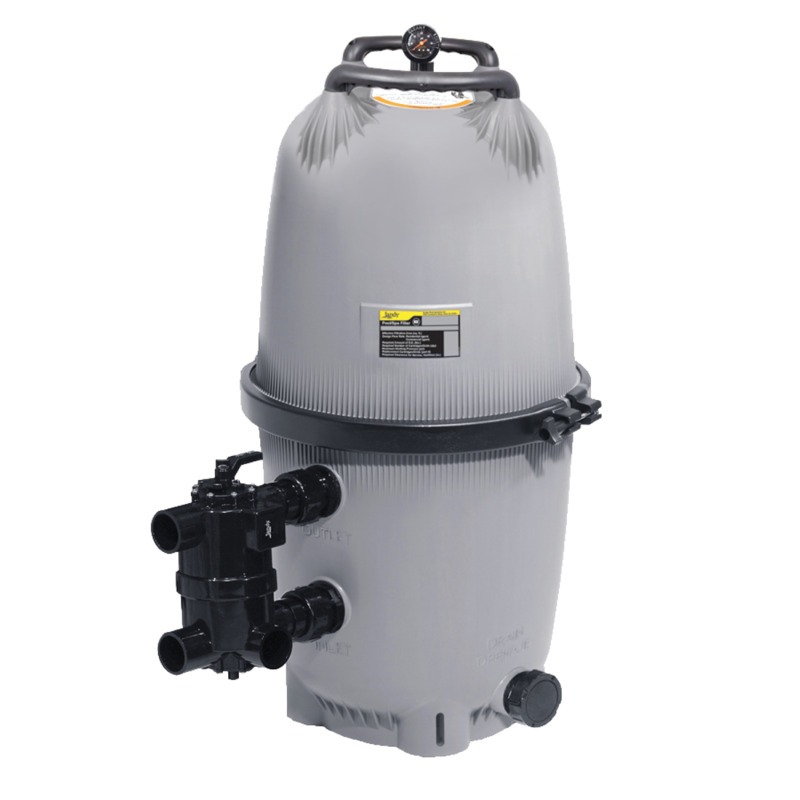 DEV filters have a curved grid design that creates balanced water flow throughout the filter tank, and are constructed with a heavy-duty, durable composite body made of corrosion- and UV-resistant materials. D.E. Required 5.0 lbs. 6.0 lbs. Distance Between Inlet and Outlet 8" 8"